Consider this a heat check. 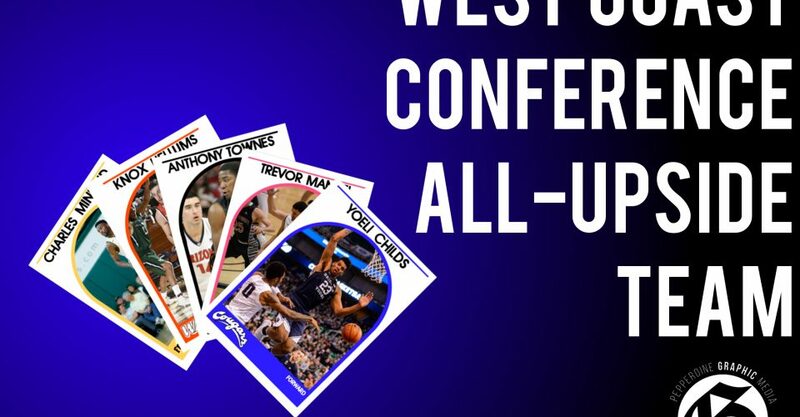 The last time The Graphic made a “WCC Basketball Players to Watch” list, five of the six players won all-conference honors and the sixth (Portland guard Jazz Johnson) made the Honorable Mention list. This time, instead of highlighting experienced, somewhat-predictable all-conference picks, these are five players who are the B-sides, the rarities, fan-favorites and are relative unknowns for those outside the WCC. All five players have several things in common: They are underclassmen who have showed flashes of being the WCC’s next superstars, and will not be in the NCAA Tournament (although the BYU Cougars will be in the NIT and the USF Dons will be in the CBI). Granted, not all under the radar players turn into Jared Brownridge, i.e. Santa Clara’s unheralded three-star recruit-turned 2,000-plus point scorer. For every unheralded high school recruit that blossoms into an all-conference player, there are scores of players who remain in obscurity for their entire careers. Guys like Brownridge are the exceptions, not the rules, which is why correctly predicting which underclassmen in the WCC will develop into all-conference stars is a difficult task. But it’s not impossible. That’s why I’ve taken a crack at it. Let’s get started. North Carolinans who watched him play in high school probably already knew this, but Charles Minlend is pretty good at basketball. In fact, he’s rather great. It’s hard to believe that a player with Minlend’s poise, handle and scoring ability slipped under most coaches’ radars; believe it or not, Minlend’s only Power Five offer was Rutgers, according to Verbal Commits. Head Coach Kyle Smith somehow nabbed him late in the recruiting process, and now Minlend an integral part of San Francisco’s young, promising core. San Francisco down only 4 to Virginia Lite, which isn’t a bad showing. Charles Minlend was somehow available for Kyle Smith in May? Going into this season, however, the the Dons were definitely the former but not the latter. 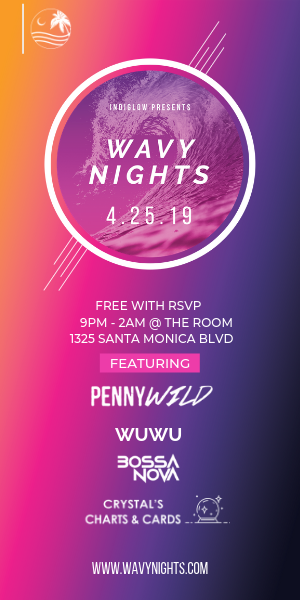 The Dons were picked to finish ninth in the WCC Preseason polls because of their lack of experience and because of the uncertainty surrounding Smith’s first year at the helm. San Francisco’s roster averaged 0.91 years of experience, according to KenPom.com’s metrics, which was ninth-fewest nationally. To put it in perspective, San Francisco was less experienced than the Kentucky Wildcats, who are notorious for having legions of one-and-done players on its roster. Of the seven freshman on the roster, Minlend not only shows the most promise for the future, but also was one of the more notable contributors this season. 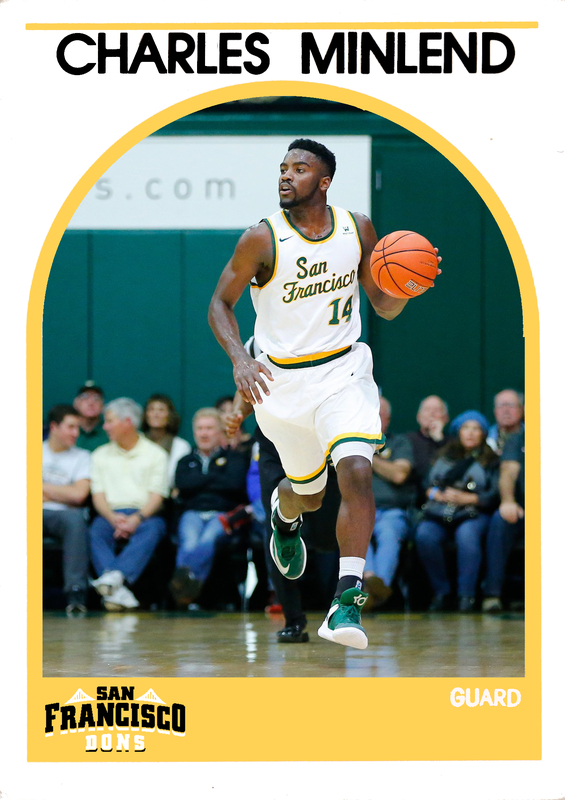 Despite averaging the fifth-highest minutes on the Dons roster (20.4), Minlend averaged 10 points per game — tied for the second highest on USF — on 42.6 percent field goal shooting, according to sports-reference.com. 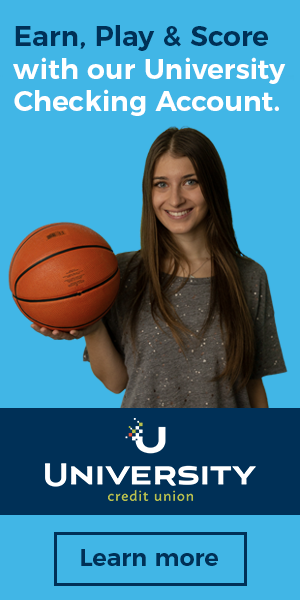 Minlend is a natural scorer. He’s not USF’s best spot-up shooter (that’d be fellow freshman Jordan Ratinho), he’s not their best defender (that’d be sophomore Nate Renfro) and he’s not the go-to scorer (of course, it’s senior Ronnie Boyce). Instead, he’s a more well-rounded player with the tools to be the Dons’ next number-one option once Boyce graduates. By far, one of the best parts about watching Minlend is his willingness to work his way into the paint. Worn-out cliche alert: Basketball runs in Minlend’s blood; his father Charles Minlend Sr. was forward for St. John’s in the late 90s who was known for his work ethic and physicality. Although the elder Minlend was undersized for his position (he was only 6’6″), he played with a fearlessness that is apparent in his son’s play. The younger Minlend’s 6’5″ frame allows him to back down smaller guards or attack the basket without giving up too much size, which he does without hesitation. Throw in his nimbleness and fluid court movement, and Minlend is one of the most exciting young guards to watch. All worries about Hellums’ freshman campaign are warranted. There were moments where he looked more like the ninth guy in the rotation of a 9-22 team and less like the one of the ten best three-point shooters in Texas or a finalist in a high school three-point contest. At several points throughout the season, he would sink to ninth or tenth on the bench (to wit, from my game notes on Jan. 26: “How is Knox the ninth guy in the rotation?”). On one hand, Hellums wasn’t as balanced of a player as fellow freshmen Elijah Lee and Nolan Taylor, which could explain his limited (and sometimes erratic) minutes. Hellums can be the Waves’ wild card if he can become a two-way scorer and a better defender. Usually the next step for high school three-point specialists is to develop another way of scoring in college. It’ll take some time, but it’s not abnormal. Former Arizona guard Gabe York, current Oklahoma State guard Phil Forte and even former BYU standout Kyle Collinsworth were all long-bombers coming into school, but became more adept in scoring off the dribble by the time they became seniors. Behold, one of the two guys who gave Pepperdine a hassle in the Waves’ sole game in the WCC Tournament. Although the Tigers were mostly unwatchable in their 11-22 season, Townes quietly major strides in his sophomore year that will most certainly put him on people’s radars next season. The sophomore from Modesto, California battled an early-season knee strain, which kept him out of the first three games and out of the starting lineup until the tenth game of the season. Townes made up for lost time by notching 18 and 8 on 7-for-13 field goal shooting. These stat-lines are typical for Townes, who is double-double machine. His six double-doubles during the regular season were fourth in the WCC. 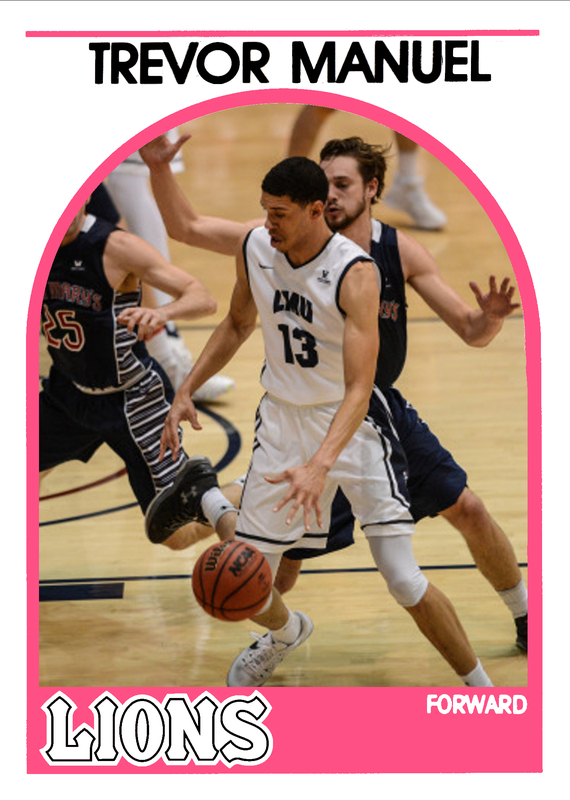 Despite being significantly shorter than most forwards in the conference (Townes is 6’6″), Townes is one of the strongest rebounders in the conference. His ability to go up against smaller guards on switches has been, and will continue to be invaluable for the Tigers in the future. 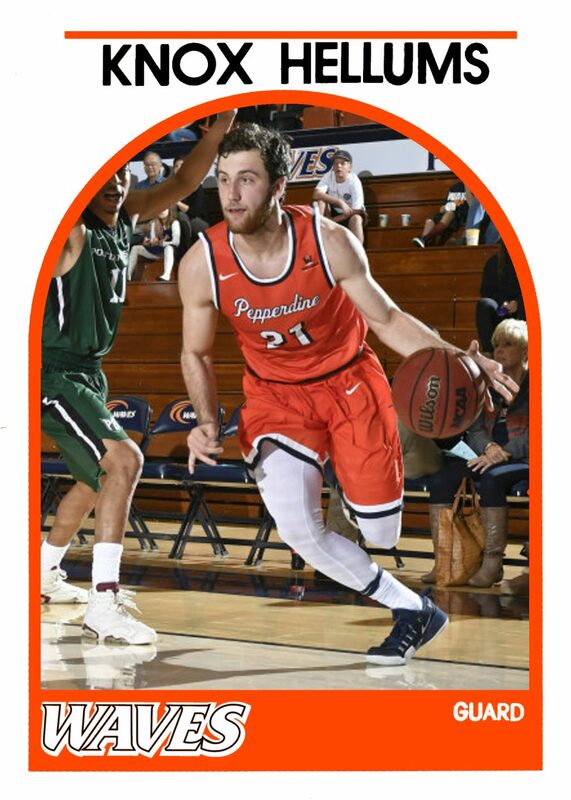 Townes will be Pacific’s best interior scorer next season — only senior Tonko Vuko shot better from 2-point range this season (59.6 percent), per sports-reference.com — and he is one of the best rebounders in the conference. Townes is one of six WCC players on both the offensive and defensive rebounding percentage, according to KenPom.com. This stat looks more impressive when considering the other skilled front courts in the conference. By the time Townes graduates, he will have matched up against a murderer’s row of mid-major big men including, but not limited to: three Kareem Abdul-Jabbar Award Watch List Candidates (Gonzaga’s Przemek Karnowski, Saint Mary’s Jock Landale and BYU’s Eric Mika), a first round NBA draft pick (Gonzaga’s Domantas Sabonis), and a plethora of current (and former) all-WCC nominees (Gonzaga’s Zach Collins, BYU’s Yoeli Childs, Pepperdine’s Kameron Edwards and Saint Mary’s Evan Fitzner). There will be few easy nights for Townes, but this will refine him into a very skilled player. With that said, Townes is still a young player. He’s prone to foul trouble (he averaged 3.2 fouls per game, according to sports-reference.com) and he has been outplayed by teams with larger front courts. The Tigers usually play Townes at the four, and his 6’6″ frame puts them at the 198th out of 351 teams in power forward height, according to KenPom.com’s metric. To wit, Townes fouled out in seven games last season, and the Tigers went 2-5 in those games. In those instances, Townes was matched up on taller power forwards in all but two of those games (Portland and Pepperdine). For the record, the Tigers were 1-1 in games in which Townes fouled out against shorter opponents. 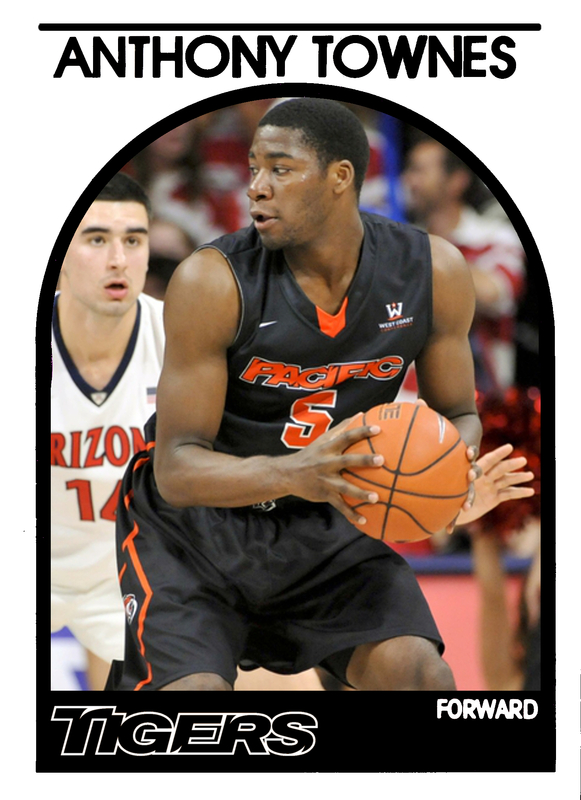 Given his skill set, Townes is probably more suitable as a small forward, but Pacific doesn’t have the height nor the ability to replace Townes’ production in the front court. But regardless of the position he plays, Townes will make a positive impact on the game. Speaking of power forwards with big upsides, forward Trevor Manuel showed flashes of promise during his first full season in Los Angeles. 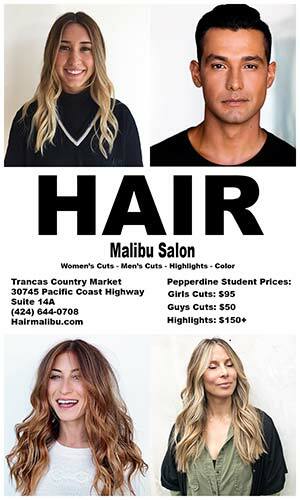 Unlike fellow All-Upsiders Minlend and Townes, Manuel was further down the depth chart on Loyola Marymount’s roster. His minutes fluctuated throughout the season; he ended the season averaging 14.7 minutes per game, according to sports-reference.com. Granted, the Lions’ five seniors on the roster (three of whom played the forward positions), this wasn’t out of the ordinary. LMU Head Coach Mike Dunlap has relied heavily on junior college transfers in his short stint at the helm; given his rapport with the junior college scene, it’s safe to say that Dunlap might nab a transfer or two in the coming months. So what does this have to do with Manuel? Barring an influx of power forwards, Manuel will likely have an expanded role at the four spot next season. But to quote college basketball robot Jon Rothstein, “This is March.” There’s plenty of time for a shakeup between now and next season for any team, but given Dunlap’s affinity for transfers, Manuel’s status is up in the air. In the first game against Saint Mary’s, Manuel was up against the 26th-ranked defense in the NCAA, according to KenPom.com, yet he still shot perfect from distance and over 50 percent from the field. Two days later, Manuel matches up against BYU’s solid backcourt tandem of Eric Mika and Yoeli Childs, yet he nearly hung a double-double on the Cougars. Yes, this is a small sample size, but it’s a glimpse of Manuel’s upside. When given the opportunity to do so, Manuel can beat opponents in myriad ways. After all, Manuel was a four-star Oregon recruit who was also on the radars of schools like USC, Florida State, Wake Forest, Providence, Michigan State, Michigan and Northwestern, according to Verbal Commits. By the way, all of those schools made the NCAA Tournament this season. Both the skill and the athleticism are definitely there. At best, Manuel can be one of the best inside-out forwards in the league if given the opportunity. At worst, Manuel is a power-five role player in a conference full of mid-major players. Either way, there’s enough talent for him to break out between now and graduation. 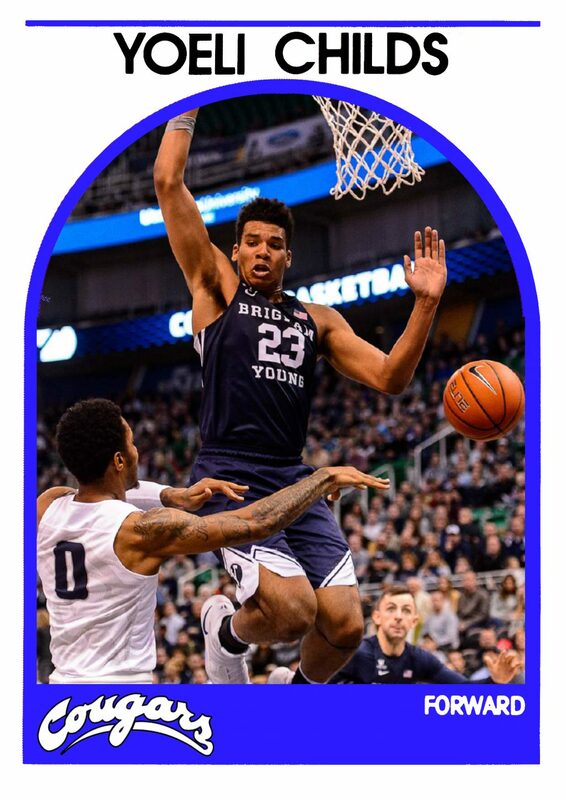 According to BYU Twitter, Yoeli Childs is a grown man. Yoeli “Man” Childs is going to be amazing! HOLY YOELI MAN CHILDS has clocked in for work. 8 points. Shoutout to men. Especially those who nearly average a double-double in their freshman season, and are in upper echelons of the WCC’s offensive (12th) and defensive rebounding (2nd) rankings, according to KenPom’s metrics.